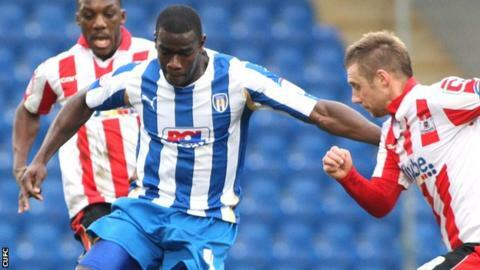 Colchester United manager John Ward remains hopeful that out-of-contract defender Magnus Okuonghae will stay with the club. The 26-year-old has been linked with a move elsewhere after his current deal ends this summer. However, Ward revealed that the Nigerian centre-back has not completed a deal with any other team. "I've got other players that I am talking to in that position, and he is aware of that, but if he wanted to stay, I would be delighted."